In preparation for Christmas: Hail and blessed be the hour and the moment in which the Son of God was born of the most pure Virgin Mary, at midnight in Bethlehem. Give us, O Lord, the grace to await with joy the celebration of the glorious day of our Saviour's birth. Clear a pathway in our hearts to make ready for your only Son, so that when he comes we may serve you in sincerity of heart. Hear our prayers during this Novena, and grant our petitions: may we not grow faint on our journey as we wait for your healing presence. We ask this through the merits of Our Saviour Jesus Christ, and the intercession of is Blessed Mother. Amen. ANTIPHONE. Emmanuel, our king and lawgiver, long awaited Saviour of the nations. In joyful expectation of your coming, we humbly entreat you: come, Lord Jesus, and save us in this present age. O God, you see your people look forward with faith to the feast of the Lord's birth. 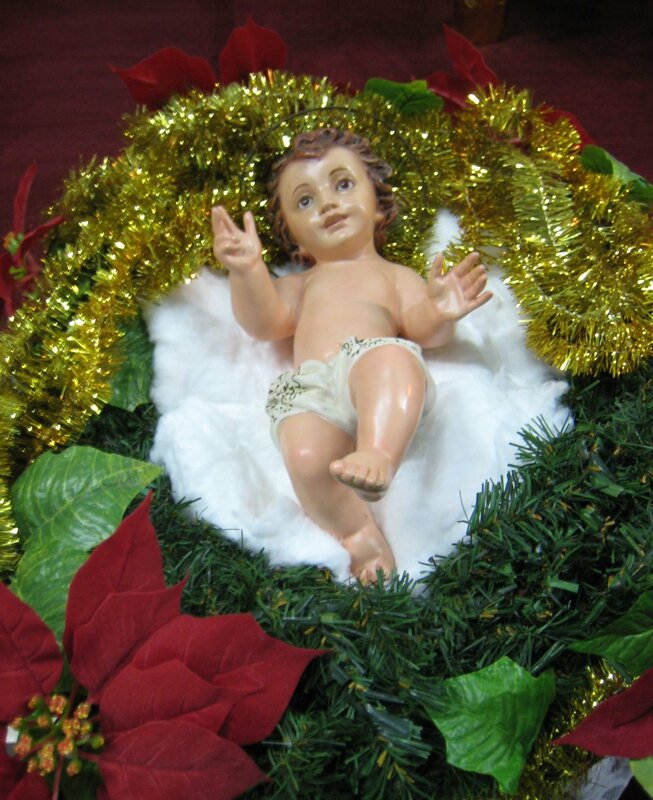 Grant that we may feel all the happiness Our Saviour brings and celebrate his birth with glad and solemn rites. Take pity on our distress, O Lord, and grant us the grace that when Christ comes again we may go out to meet him bearing the harvest of good works achieved by your grace. We ask this through the same Christ Our Lord. Amen. our hearts from things of earth.